Located about an hour to the south of Budapest, Kecskemét Air Base hosted the Hungarian Air Force's flagship event on 3-4 August. 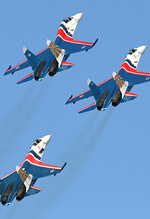 The show, last held in 2010, was celebrating 75 years of the Hungarian Air Force and was supported by no less than 28 different nations with over 100 aircraft participating. 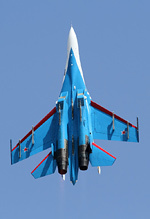 The high numbers of Eastern European exotica coupled with soaring temperatures made for an unforgettable airshow weekend. Dean West was on hand to sample the best Hungary had to offer. Photography by the author. Upon entering the showground the first thing I noticed is how different the show was to UK aviation events, with tens of thousands of people already on base at 7:30am in order to secure a spot close to the crowdline for the eye-wateringly early 8am flying display start. The crowds continued to pour through the gates in the following hours, with over 100,000 people attending the show over both days, and who can blame them with adult tickets priced at a more than reasonable £11.50 on the gate. The crowds seemed to make themselves at home very easily, setting up their parasols and umbrellas to keep in the shade before stripping off down to their beachwear as temperatures nearly hit a sweltering 40°C! The ridiculously hot temperatures weren't ideal for trekking around the large showground, which was just as well as the static display was fairly small but perfectly formed, with a pan crammed with a great mixture of European hardware. This ranged from a pair of 100 Squadron Hawk T1s and a Belgian Air Component F-16BM through to all the juicy exotica such as Ukrainian Su-27UB, Bulgarian Su-25UBK, Hungarian Yak-52 and Polish Su-22M4. 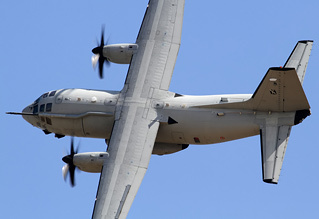 A notable late addition to the static park was a USAF C-12C of the US Embassy Flight based at Budapest airport, which arrived early Saturday morning. Who'd have thought that a King Air would be so exciting, but hopefully the participation of this rare type is a positive sign for US participation at airshows! A number of helicopters were scattered around the showground too, the highlights of these being a Romanian IAR 330M and a Slovakian Mi-17 1 V.
Frustratingly Kecskemét is fairly short of ramp space in the public showground which resulted in few static items being relegated to parking slots out of the public view at the North-Western end of the airfield, including the likes of the Russian IL-76MD, Ukrainian An-26 and Romanian C-27J. The flying display could boast as much quality as the static display, with an 11-hour aerial extravaganza that would probably make some UK enthusiasts cry. The display started slowly, with light aircraft such as the Da-40, Beech-24 and Apollo Fox performing, with the noise gradually building over the next hour - with solo displays from a privately owned Galeb, Delfin (still in Red Star Rebels markings!) and the Polish SBLim-2 (more commonly known as the MiG-15! ), although these small aircraft seemed to lack much impact due to the size of the airframe plus the distance that they were displaying from the crowdline. The show attracted a neat collection of Pilatus aircraft from no less than three military operators - an Austrian PC-7, Slovenian PC-9 and the Croatian Wings of Storm display team, flying six PC-9s. I'd never seen an Austrian PC-7 so I thoroughly enjoyed the sharp routine performed in the special schemed trainer and it was nice to see the comparison between the type and it's older brother from the Slovenian Air Force. The PC-9M Hudournik solo, which has been seen at the likes of RIAT and Mildenhall in the past, was one of the most impressive displays of the weekend as the aircraft was displayed in an almost fighter like style, with plenty of fast-paced loops and rolls that kept the aircraft close to, and in front of, the crowd throughout the majority of the solo routine. The last of the Pilatus participation was the Croatian Air Force's Wings of Storm, or Krila Oluje as they're natively known, who fly six beautiful white and red PC-9Ms. I'd heard good things about this team so my expectations were high and they did not disappoint. The team seem to be great at taking inspiration from elsewhere but adapting and pushing the manoeuvres to create a brand new, unique display which includes everything from two three-ship tailslides to a triple mirror pass. The team fly a tighter and more accurate display than many of the more established teams on the European circuit and when you take in to consideration that the Krila Oluje have only existed for 10 years, plus the Croatian pilots have lower flying hours than many of their European counterparts, you can appreciate how solid their display really is. I'd love for them to visit the UK soon! 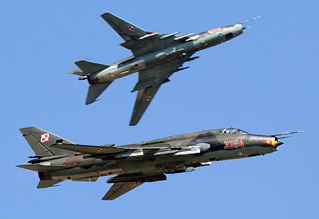 On the subject of visiting the UK soon, the Polish Air Force Su-22 pair must be near the top of most UK airshow organisers' wish lists for the 2014 season. One should not expect a full aerobatic display, as this Fitter duo perform more of a role demo, but the sight and sound of two iconic Cold War swingers is probably enough to turn even the hardest UK enthusiasts into a quivering mess, particularly as the aircraft's afterburner kicks in sending a spine-tingling thud trembling around the airfield. The display began with some sedate pairs passes, showing off the aircraft's variable geometry wing before splitting off to simulate strafing runs and airfield attacks. Another highlight of the weekend! Sticking with the Eastern European theme, a MiG-21UM Lancer of the Romanian Air Force was yet another star turn. The Romanians have a slowly dwindling fleet of Lancers, with rumours suggesting that ex-Portuguese F-16s are set to replace them, so the opportunity to see a Lancer solo display was treated as though it'd be the last opportunity to see the type in the air. Understandably, being a 1950's design, the display was a world away from the Typhoons, Gripens and Rafales we see so regularly, but, despite having the turning circle of a small cruise liner, the Romanian pilot ensured he delivered a maximum impact display by making the most of the MiG-21's incredible afterburner, which looked almost as long as the aircraft itself and too made an incredible sound once the reheat kicked in. 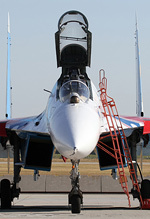 The undoubted highlight of the show was the participation of the Russian Knights, flying five huge Su-27s, with their setup for the Kecskemét show being three single seat and two of the more photogenic twin stick variants. I wasn't sure what to expect from the team, flying aircraft that are a world apart from the Hawks, Alpha Jets and MB339s we regularly see formating over the European skies, so I was pleasantly surprised to see sedate, precise set of formation manoeuvres that keep the beastly aircraft almost within the boundaries of the airfield, their burner box four 360° was one of their most visually and aurally stimulating manoeuvres. The Russians put on a more dynamic second half with a couple of opposition pairs passes, with the solo aircraft darting over the crowd following both manoeuvres, plus the pairs tailslides, with the aircraft releasing around 50 flares at each end of the display line. The display climaxed with yet more flares, the 4-ship pulling up vertically and ejecting a huge amount of the countermeasures, much to the pleasure of the crowd. 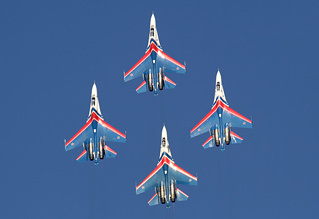 UK airshow goers will be familiar with the Vulcan effect, or even the Red Arrows effect, but both of these are dwarfed by the Russian Knights effect! This was more than the crowd barging to the front to catch a glimpse of the Flankers and wave to the pilots, but it was the fact that, on the Saturday at least, the majority of the crowd had stayed to watch the Knights perform around 6pm local time, which was around 10 hours after the flying had started! Once the aircraft had landed and taxied back to their parking slot the masses upped their temporary camps and headed for the exits, kicking up a cloud of dust which lay over the airfield, making it look more like a smoggy Indian town than a Hungarian air base! With the Kecskemét show being staged only once every few years, it was no wonder the Hungarian Air Force were out in numbers to support the event, their participation starting with an inventory flypast of Gripens, An-26, Mi-17 and Yak-52s. However, their most striking contribution was the role demo. This had a fairly slow start, with some troops jumping out of a HuAF An-26 to secure the ground placements before two JAS-39 Gripens roared in to attack further targets on the airfield, complete with pyros. 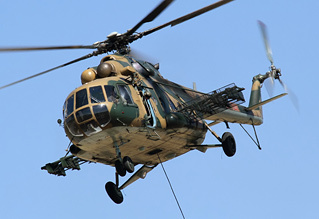 This then led on to a dogfight with the pair of Gripens chasing a single JAS-39, who performed a number of evasive manoeuvres to keep out of the gun sight of the pursuing aircraft, all the while firing flares, before a Mi-17 appeared low from behind the trees to drop off some more troops and firing blanks from a door mounted gun. A nice touch. The arrival of one of the few heavies on display then appeared in the overhead, a C-17 from NATO's Heavy Airlift Wing based at Pápa AFB. The aircraft, which wears the fin flash of Hungary as its flag nation, showed off the C-17's short landing capabilities as well as it's reversing party trick, before departing the airfield and marking the end of the role demo. The only Hungarian solo display of the weekend was from JAS-39C Gripen which put on a much more spirited and impressive display than we had seen at Fairford a few weeks previously. It would seem that the slightly more relaxed display regulations work wonders for the HuAF Gripen solo, which seemed a lot closer to the crowdline and, when paired with the fact that it displayed with smokewinders and was rather flare-tastic, meant it was one of the stand out solo jets of the weekend. With no less than six jet display teams on the bill there's no doubt some would have had concerns that it was to be a bit of a team-fest, but thanks to the incredibly long flying display and a great variety of teams this was avoided. 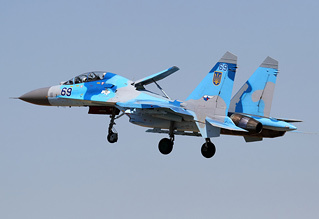 As well as the previously mentioned Russian Knights and Wings of Storm, the flagship teams of Italy, Spain and Turkey were present as well as the civilian operated Baltic Bees. 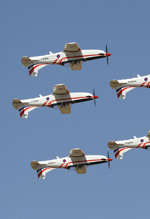 The Turkish Stars were particularly easy on the eye while the Frecce Tricolori displayed to their usual high standards. Their final pass, painting the world's largest Italian flag to the sound of Pavarotti's Nessun Dorma is enough to make anyone want to be Italian! The rest of the ten hour flying display was made up of a great variety of European types, with other highlights being the Czech Air Force Mi-24 Hind, Italian C-27J Spartan display from the RSV plus a rare HH-139 Search and Rescue demonstration from the Italian Coast Guard. 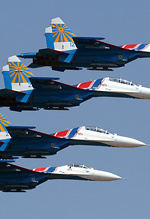 So if you like beer, blue skies and great air displays then the rumoured Kecskemét 2015 show should definitely be one to consider. It's hard to complain when you're spending just over a tenner for a superb flying display (it says a lot when the likes of the Belgian and Dutch F-16s don't even get a mention in the review!) and I'd recommend the show to any British enthusiast that wants to see the types that rarely visit UK shores.